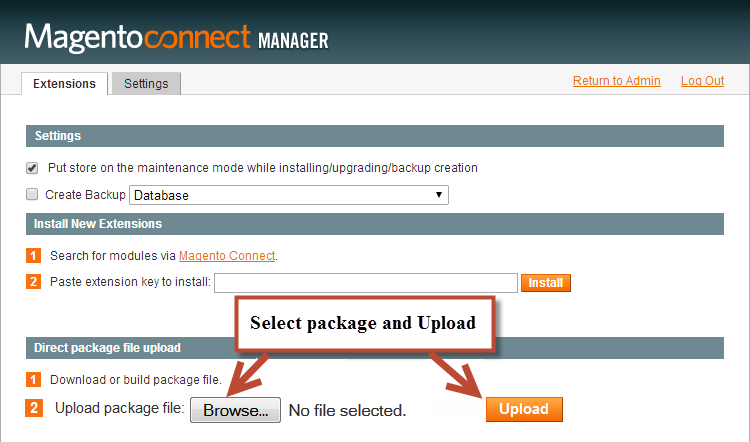 This guide will help you install SM Hot Collections – Version 1.0.0 step by step. 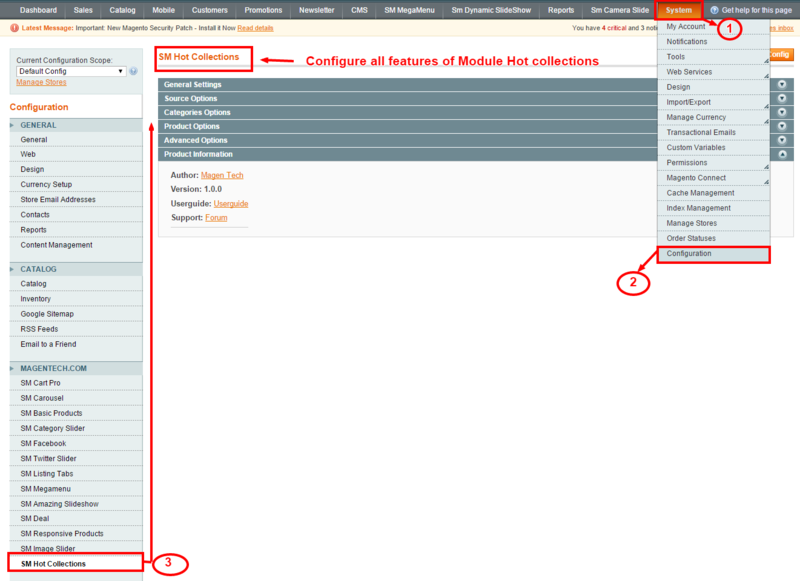 After installing, go to System -> Configuration and find SM Hot Collections (in the left of column) to configure. # Show type Load more – to load more product in tab. Display Total Item category – Allow to display icon or NOT. Display Min Price Product – Allow to display the min price of product or NOT. 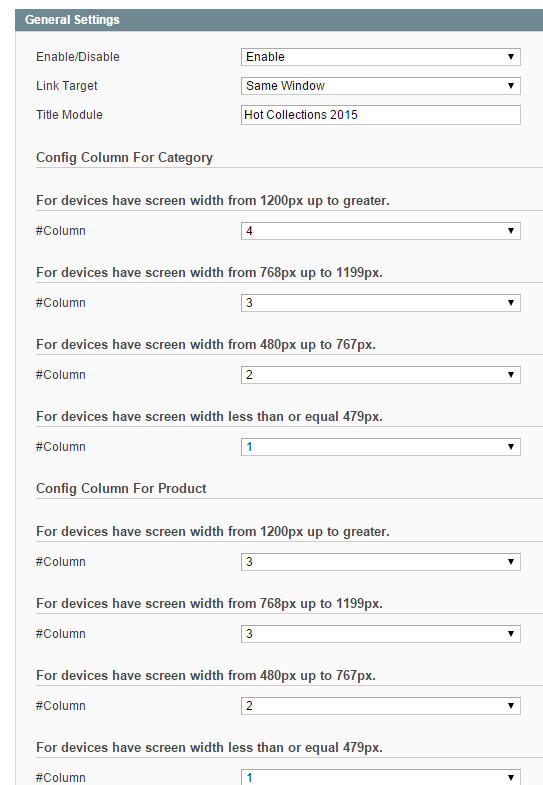 Display Description category – Allow to display description of category or NOT. 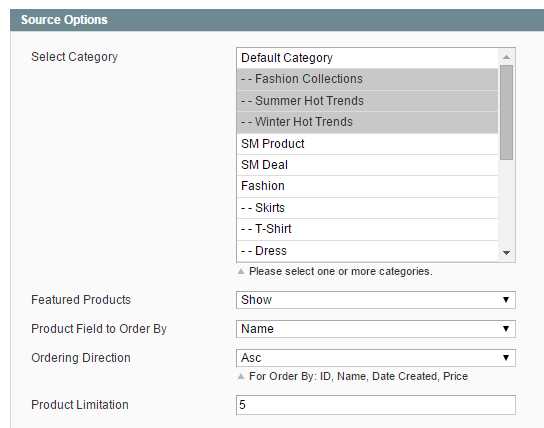 Description category Maxlength – Allow to set maxlength of description category. Category Image – Allow to display Image of Category or NOT. 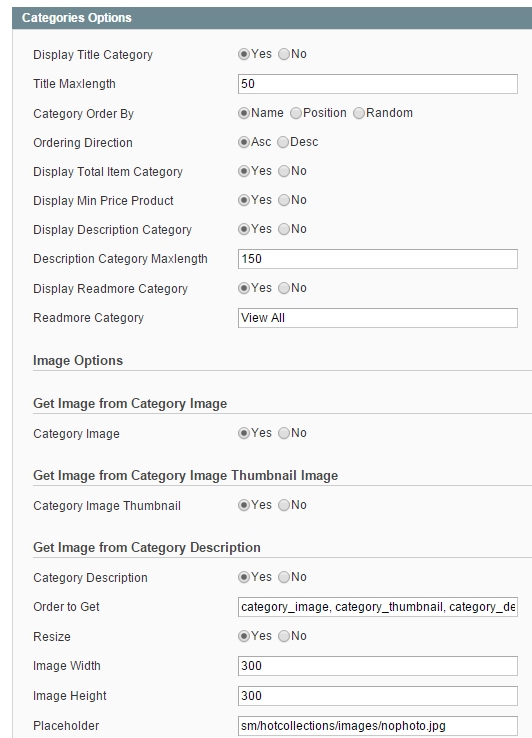 Category Image Thumbnail – Allow to display Image Thumbnail of Category or NOT. Category Description – Allow to display description of Category or NOT. 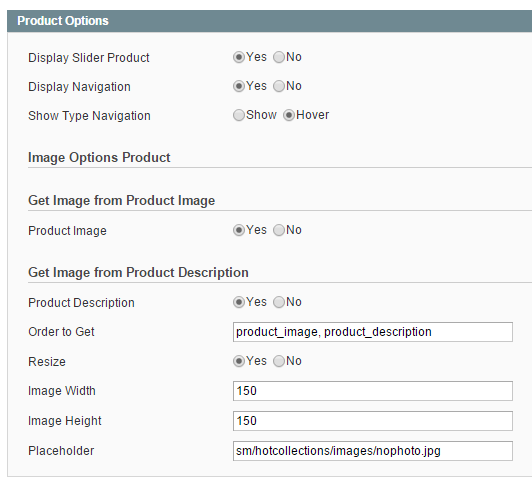 Display Slider Product – Allow to display the slider of product OR not. 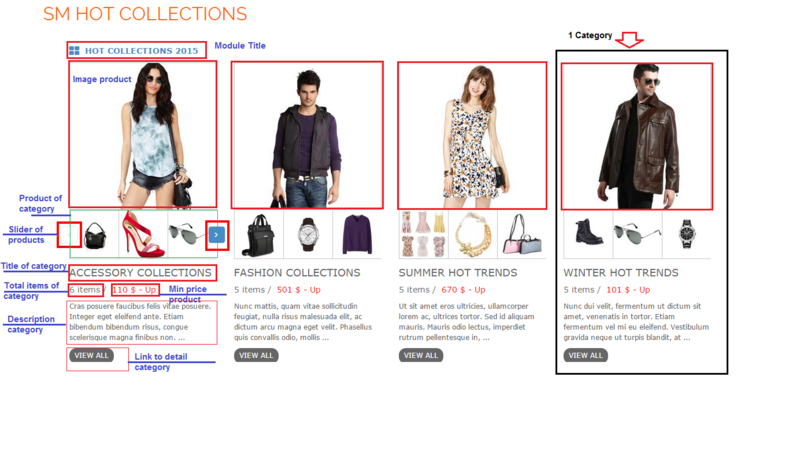 Display Navigation – Allow to set the Navigation for the Product. 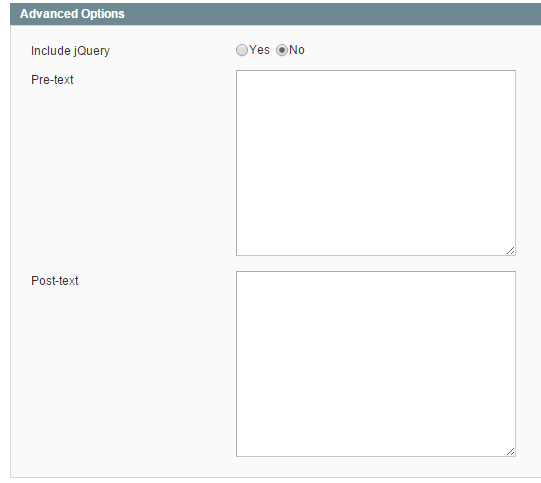 Show Type Navigation – Allow to set “Show” or ” Hover” button navigation.